This weekend I was exhibiting at a local health expo. With my teas, I was armed and ready to spread my love of medicinal herbs with the women who came to the show. 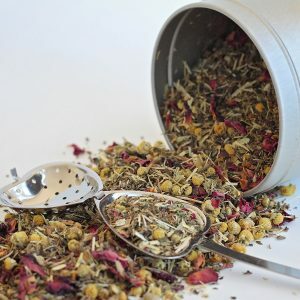 I was lucky enough to come across many women who were excited about what herbs might do for them, and even luckier to connect with other herb lovers. This being the end of PCOS Awareness Month for 2015, I wanted to save the best for last. The best = herbs for PCOS, by the way. Why? Because they have made a seriously profound difference in my life, and in the lives of the women I coach privately. It’s no joke to say that without herbs I may not be doing this for a living, and may not even still be in my loving relationship with Kyle. There were some seriously dark times in the past, peeps. Below I am sharing four of my favourite herbs for PCOS. 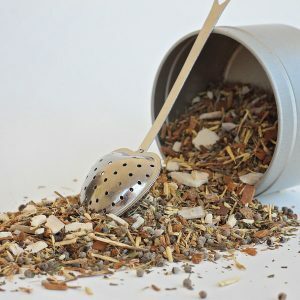 While this list is by no means all-encompassing, these herbs are very popular, and for good reason. Traditionally saw palmetto was used in men with prostate issues and hair loss. The reason for this is that saw palmetto is a regulator of testosterone in the body. The great thing about this for your Polycystive Ovarian Syndrome firstly is that it’s anti-androgen capabilities are helpful with androgenic alopecia, or male-pattern hair loss. It does this by reducing uptake of dihydrotestosterone (DHT) or ‘bad’ testosterone within the hair follicle. It also decreases the binding of DHT to androgen receptors. You should note that research into this connection is just beginning, but I have seen it work with many women in my practice. Dong Quai originates in Traditional Chinese Medicine. It is helpful for reducing stagnation of the reproductive organs, bringing blood flow where it’s needed. This is helpful if you experience absent or scanty periods. This herb can also assist in reducing fatigue and inflammation. It’s a great all-around tonic that like Vitex below, can be used for a wide variety of hormonal imbalances. Also known as Chastree Berry, Vitex has traditionally been used to correct hormonal imbalances of many kinds. The herb is thought to work on your pituitary gland, the major hormone-regulator in your brain. So far, Vitex has been shown to be a safe herb for women in scientific study. For your PCOS, Vitex can assist in regulating erratic cycles, reducing symptoms of PMS, acne and infertility issues. It should be noted that Vitex is a slow-acting herb, and you should allow 3 full cycles to notice a difference. It’s worth the wait! A widely-used herb in Traditional Chinese Medicine, this flower has little scientific study but tons of anecdotal evidence to make it worth trying. In one study, Peony inhibited the production of testosterone and promoted the conversion of testosterone to estrogen. Peony also helps with painful periods (dysmenorrhea) and helps to reduce stagnation in the reproductive organs for proper blood flow. 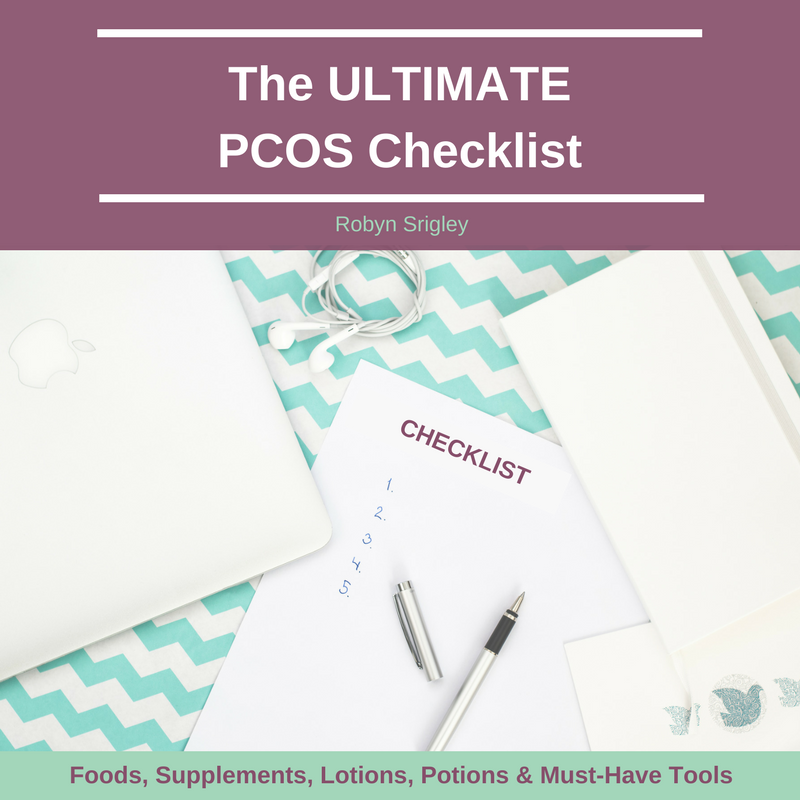 Have you used any of the above herbs for your PCOS? What was your experience? Share in the comments below! 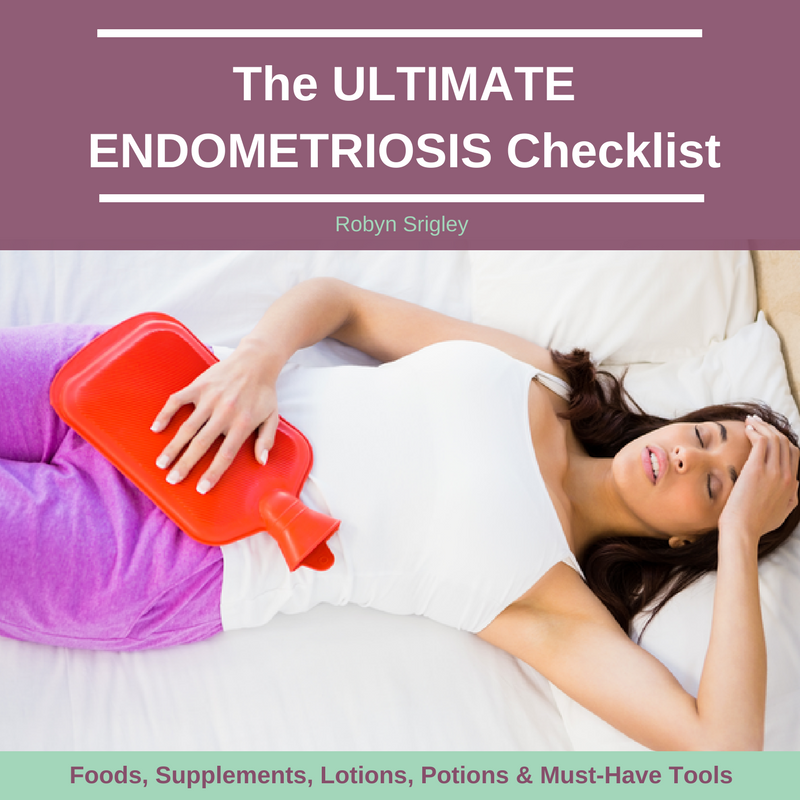 Polycystic Ovarian Syndrome (PCOS) can be a bugger. You may see not to eat lots of your favourite foods because they can increase your acne, facial hair or weight. Looking at the list of things you “shouldn’t” eat can be overwhelming and frustrating. The good news is that there are literally TONS of healthy and PCOS-friendly foods out there. Some of these foods can be considered superfoods because of their high nutrient content and PCOS-managing abilities. I use many superfoods in my diet to keep my symptoms at bay and to live a vibrantly healthy lifestyle. 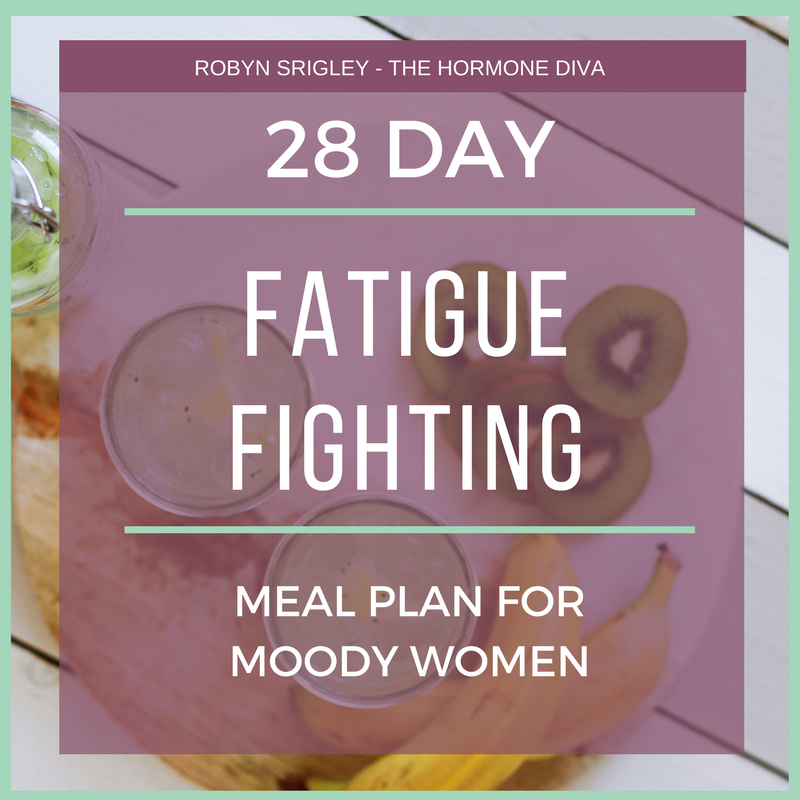 PCOS isn’t holding me back! I do not give it permission. Anyways. . .Enjoy the following superfoods in your diet to help manage your PCOS naturally. Spirulina is a blue-green algae that has been very popular in the health-food scene for the last 10 years or so at least. Spirulina is full of blood-sugar balancing protein, blood-building iron, and thyroid-protective iodine. 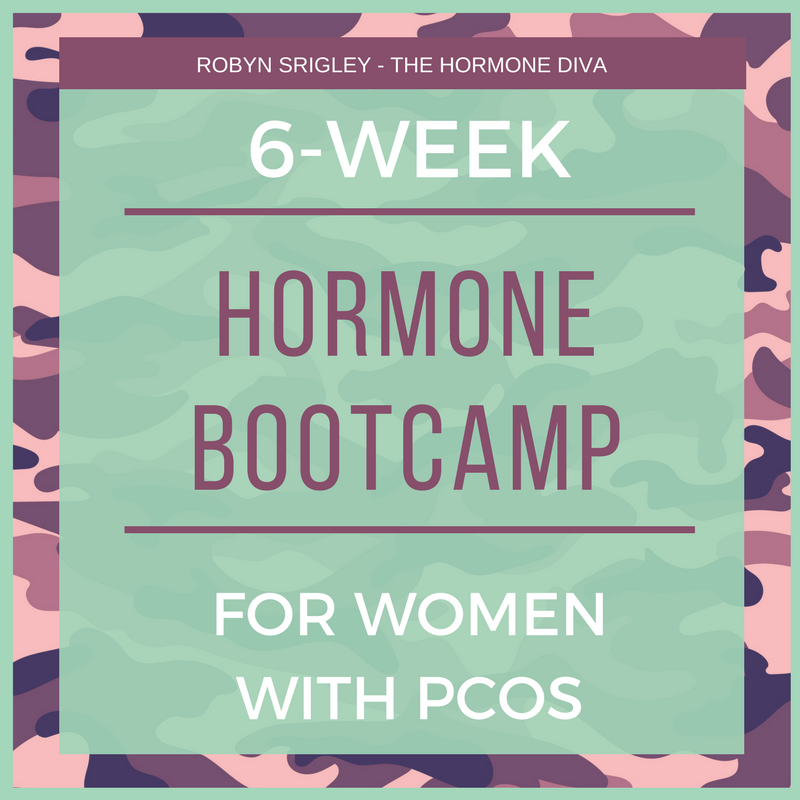 In women with PCOS, the thyroid and adrenals glands are often under-functioning. Using seafoods like spirulina can help to mitigate these issues. Spirulina also contains gamma linoleic acid or GLA, which is great news for painful periods associated with PCOS. While it does have an ocean-y taste to it, it’s easily disguised in smoothies, avocado pudding and other foods. 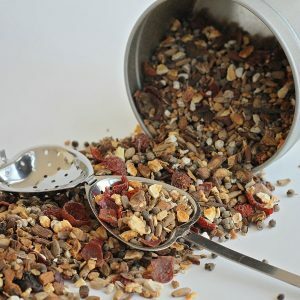 Begin with 1/2 tsp daily and work up to 1-2 tsp daily, depending on your tolerance. Cinnamon is a very popular and super freakin’ delicious spice. It also has some pretty amazing health benefits. For your PCOS, cinnamon will increase insulin sensitivity and reduce blood glucose levels. Cinnamon also prevents (or slows) post-meal blood glucose levels by slowing the emptying of your stomach. Enjoy 1 tsp cinnamon every day sprinkled on your breakfast, baked into a grain-free granola for snack, or any other way you like it! Don’t like cinnamon? Take a cinnamon capsule instead. I’m a tea freak. You know this about me, right? The good news is that green tea is one of the best beverages for your PCOS. Green tea has anti-cancer properties and is anti-inflammatory. Green tea contains something called epigallocatechins which help to inhibit 5-alpha reductase, which prevents or reduces the conversion of testosterone to the ‘bad’ form called dihydrotestosterone or DHT. DHT is a main culprit in your acne, facial hair and hair loss. Green tea also assists in moderate weight loss although it shouldn’t be the ONLY thing you use to lose weight. One study also showed that green tea consumption could manage your amenorrhea, or lack of periods. Spearmint, like green tea, has anti-androgen properties. It seems to reduce free testosterone in the blood stream. Women in studies of spearmint tea reported better quality of life in relation to their acne and hirsutism, so bonus for your self-esteem! Beyond this, spearmint tea increases levels of luteinizing hormone (LH) and follicle stimulating hormone (FSH), which could help to regulate cycles and fertility. The studies suggest taking 1 cup of spearmint as a tea two times daily for at least one month to see benefits. Broccoli, a member of the Brassica vegetable family is a motherload of health for your PCOS. Broccoli contains fibre and plenty of vitamins. Beyond this, a component in broccoli called sulforaphane is protective against estrogen-mediated cancers like some breast cancers. The reason for this is that broccoli improves estrogen metabolism. 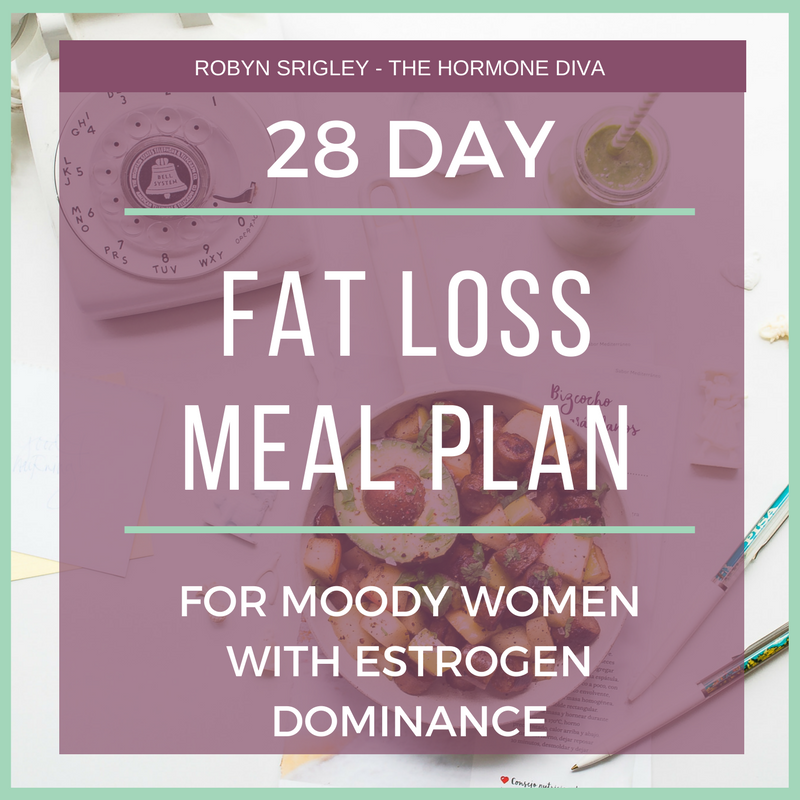 This is fantastic for managing your PCOS, because most often women with PCOS are estrogen dominant. The fibre in broccoli will also help your body to detoxify estrogen, adding to the long list of benefits of eating this tree-like veggie. If you have an underachieve thyroid, cook your broccoli most of the time. Enjoy this vegetable a few times a week for maximum benefits. 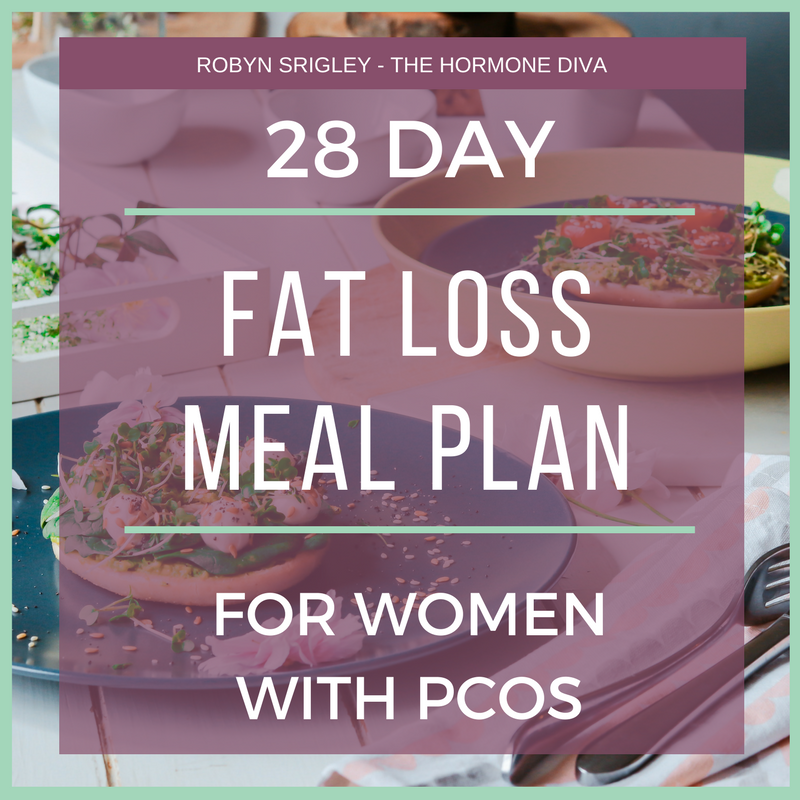 These delicious little nuggets of health are great for your PCOS. Sesame seeds contain good amounts of Vitamin B6, great for reducing bloating, regulating progesterone, eliminating breast tenderness and decreasing depression to name a few. Beyond the vitamins, sesame seeds contains lots of important minerals. Magnesium and calcium are found in abundance in these little seeds. You want these minerals for your mood, blood sugar regulation, energy creation, muscle health (including your organs- they’re muscle too!) and physical stamina. Get a few tablespoons of these awesome seeds into your diet weekly. Have you tried any of these superfoods? How to you use them? Post in the comments below!